Text message marketing companies are offering more services and better features to business customers looking for another inexpensive way to communicate with customers and get their messages out to these customers. Far too many customers do not react to email campaigns. The emails are deleted without reading them or they end up in junk folders never to be seen. They are auto deleted within a week or less. The return is rather small for the few that do actually read the message. Consumers and customers are too afraid of being tricked into something by opening an email message. This is due to all of the spam emails sent to them daily. Now text message marketing companies have set up services that are easy to use, easy to compose messages. With a click of the mouse the messages are sent to ten or thousands of smart phones. Target your text message locally or based on subscribers. Either way can be set up and used by business customers trying to market to their customers. Not everyone checks their email all of the time. But they do carry their cell phones with them. They do tend to check text messages before any other kind of message including email and voice messages. In fact most would rather have a text message rather than a voice message. Since it takes so long to call in and listen to a voice message that someone has left you. Send a text message and tell me what you want is the way that most people seem to like it. Text messages are much less expensive compared to voice communications for both the sender and the receiver. Many people only have limited voice and data plans. They do not want to use their plans for these kinds of messages. Unlimited text messages on the other hand are easy to read and get a persons attention. Text messages are now priced very inexpensively for business with most messaging sent over the internet. This capability is really changing the approach that companies use to market via text messaging. With smart phones becoming more prolific and supporting these text messaging app’s, advertising is now available right on the app on the persons phone. The owner of the phone who installs the free app on the phone gets the app for free. As long as he or she agrees to accept these advertising messages from time to time as well as advertisements on the app itself. Most people ignore this advertising on their smart phone. However from time to time there is really something there that interests the user and they click on the advertisement. Even a small percentage of users clicking on this advertisement can mean big numbers for the advertiser. 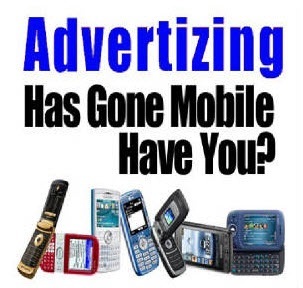 With millions of smart phones out there are millions of potential customers who may click on these advertisements. Text messaging marketing is just another form of advertising that consumers just cannot get away from. 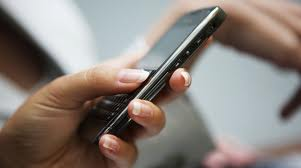 Companies and advertising organizations send out millions of text messages every day to unsuspecting cell phone users. This is an attempt to garner some business from them. These messages are sent by the millions and are often ignored by consumers receiving them. They just do not hit the mark for many people and irritate a lot of others. At the very least you have to go in and delete them to reduce memory consumption on your phone. If you have a text messaging plan on your phone then at least you do not have to pay for the incoming message. Although it is still annoying. You have to read each one and then delete it. Still every once and awhile there are some good deals available. You can save money by taking advantage of them. Text messaging is actually old technology now. Messaging is becoming available over the internet and sent to your smart phone for free. 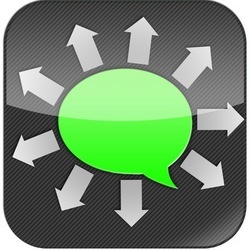 With a free app on your phone you can send and receive messages to your friends etc without any cost what so ever. We expect that text messaging traffic is going to decline over the coming years as more and more people purchase smart phones. 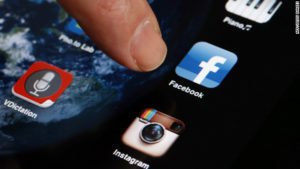 As these apps become popular there will be text messaging marketing on these new apps as well especially if they make it into a majority of user’s phones. Text messaging is an old technology owned and operated on the mobile phones that are sold by the various carriers. 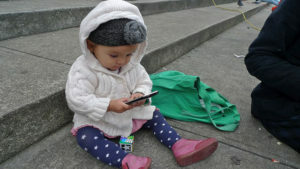 Smart phones are growing by leaps and bounds, so it will not be long before we begin to see a decline. Most people today will always get a text plan with their phones since sending text messages is actually cheaper than talking over the phone and who wants to talk anyway these days. 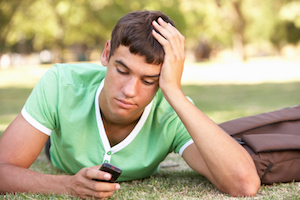 Most teens just send text messages. A few people we know only have a text plan and a data plan on their phones. They block all phone calls over their phones from the traditional cellular networks to limit voice charges. They can do all of their calling using the data network with Voip on their smart phone and also send text messages. This appears to be the way of the future. Yet many of our older friends only have cell phones, mobile phones or smart phones only for emergencies and some just take a pay per use plan. They are definitely not into sending or receiving text messages. 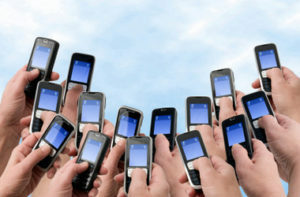 Still more and more people are gradually getting used to using smart phones and sending text messages. It is an inexpensive and unobtrusive way to communicate. Text messaging advertising is another way that companies can advertise to consumers. Some cell phone users are starting to receive a lot of text messaging advertising. Frankly many people find it is quite annoying. These messages take time to read and delete. They are potentially using up some of your incoming message quota for text messages every month. If you have an unlimited plan, they you probably do not care quite so much. They even come in during the middle of the night which used to wake us up. Now we leave the phone downstairs were we cannot hear it in the middle of the night. Many mobile owners will turn their phones to private mode at night if they do not want to be disturbed. The writer made the mistake of giving out their cell phone number once to a company who then sold the number to an advertiser. Selling numbers to advertisers apparently occurs all of the time. This advertiser began sending text messages to my phone at really odd hours. I now leave my phone down stairs at night so that it does not wake me up. I will still hear it if it rings and if it is an urgent call. Fortunately I also have an unlimited incoming text message plan so do not need to worry about how many text messaging advertising messages I actually receive. If I had a limited plan, I would have to do something about this problem. These messages eat into your monthly quota and can cause a problem for many people. There are also text messages which are called “short code text messages”. and each time you receive one your account is charged $2.00. This is an outrageous amount to charge for an alert message that you did not want and did not order. There may be some alert messages that might be worth this kind of money. I do not know what they would be. I certainly do not want them. In my mind this is really a scam and they should be disallowed! The phone company makes a lot of money from them and does nothing to stop them unless you call them to have these type of messages blocked. In the mean time, call your mobile provider and have them block these kinds of test messages from being received by your phone. This is the only way to block text messaging advertising of this type. You have to have specific numbers to block which you can do with short code text messaging. Not sure if I can ask my carrier to block text messaging advertising in general from being received by my phone. If this could be put in place, it would be really appreciated by many consumers, but the carriers would lose a lot of revenue if they did block them so I really do not think that they will take the step to block general text messaging advertising. Does anyone know if this is possible. If you do have some idea regarding blocking these kids of text messaging, leave us a comment and instructions on how to go about this. For more about text messages, click here.